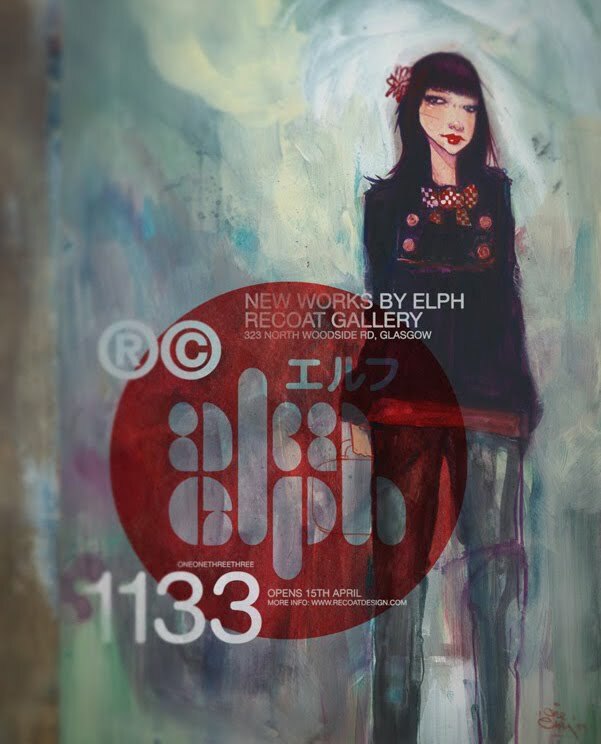 Upcoming at the Recoat gallery in Glasgow is a new solo exhibition entitled 'One One Three Three' and featuring all new works from Scottish artist Elph. The exhibition opens on the 15 April with a preview evening 7-10pm. The exhibition will continue at the gallery until the 10 May 2011. More info on the Recoat website or on the Facebook event page.